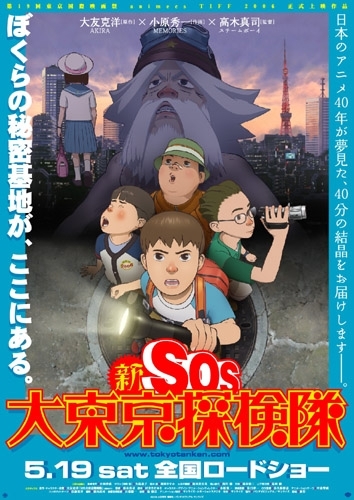 On Friday, the first trailer for the new feature length anime film Shin SOS Dai Tokyo Tankentai (The New SOS! Tokyo Metro Explorers ) was released. The trailer can be viewed by visiting the official site for the film and clicking on the upper-right corner of the notebook where it says 劇場予告 (film trailer). In a post to the film's official blog, promotion staff member Kuwashima Ryuuichi mentions that the staff is currently working on promotional drawings for magazines, in addition to greetings for a press conference on the film's opening day of May 19th. He also announced that the official movie poster can now be viewed online here. This story is a follow up to the story Otomo's Shin SOS Dai Tokyo Tankentai Screens May 19.